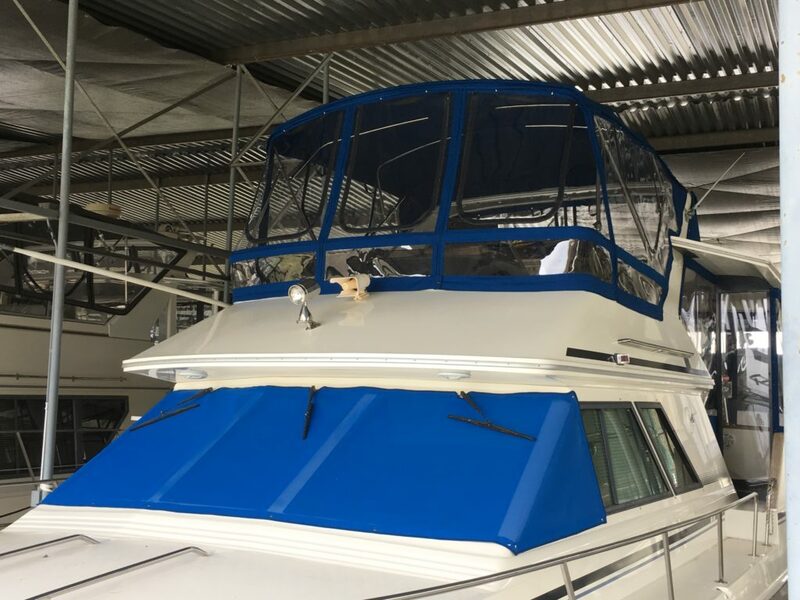 Concord Custom Canvas offers flybridge enclosures for power cruiser owners. 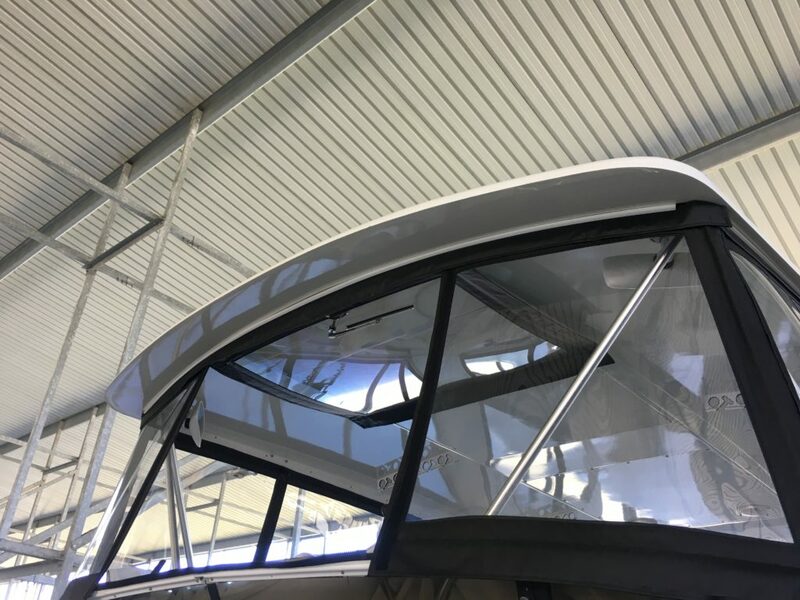 These structures are built under a canvas bimini or under a hard top. The boat in these images was a 55 foot Californian that has a hard top. The windows are made from Strataglass and stamoid. The middle windshield window is a rigid polycarbonate window. Each side panel and the bimini detach from each other by way of zippers. The foot of all panels are held in place with zippers. 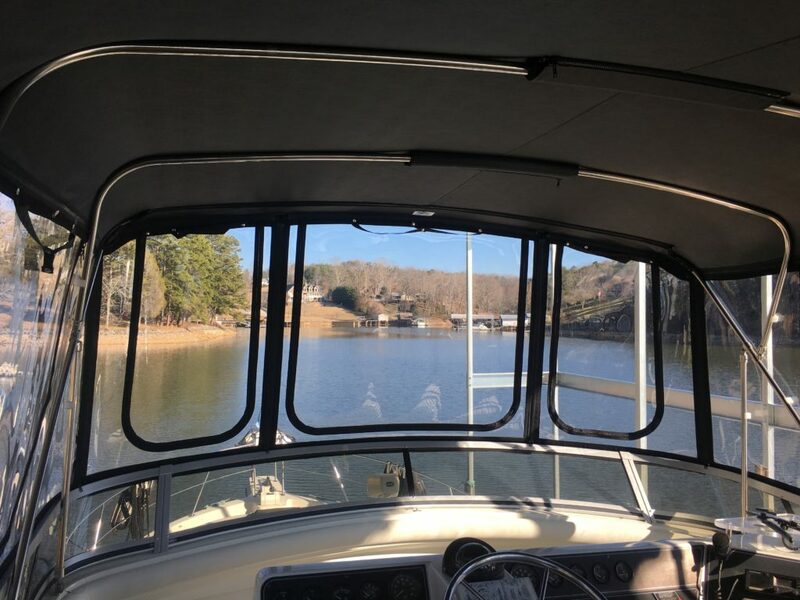 Enclosure windows are fabricated to include smile zippers that can roll-up to open the boat up. Alternatively, smile zippers can be left off and the entire window can be unzipped along the foot and sides and rolled up. This approach cuts down on the number of zippers and improves visibility from the bridge. 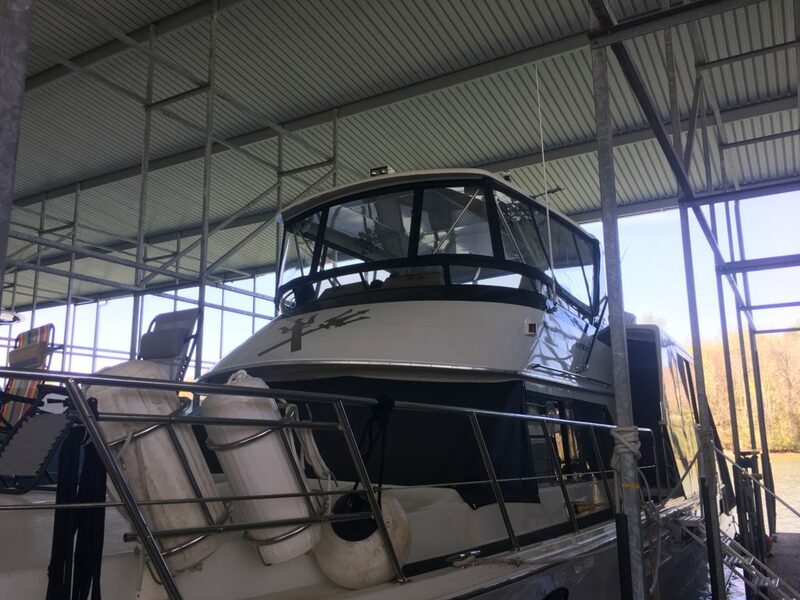 The owner of the featured boat wanted a rigid polycarbonate window in the middle of the windshield of their boat. It unzips along the foot and sides so that it can be flipped up. Hardware is mounted along the underside of the top to hold the window up. For more information on rigid windows, click here. Flip up rigid window mounted on the underside of a hard top. 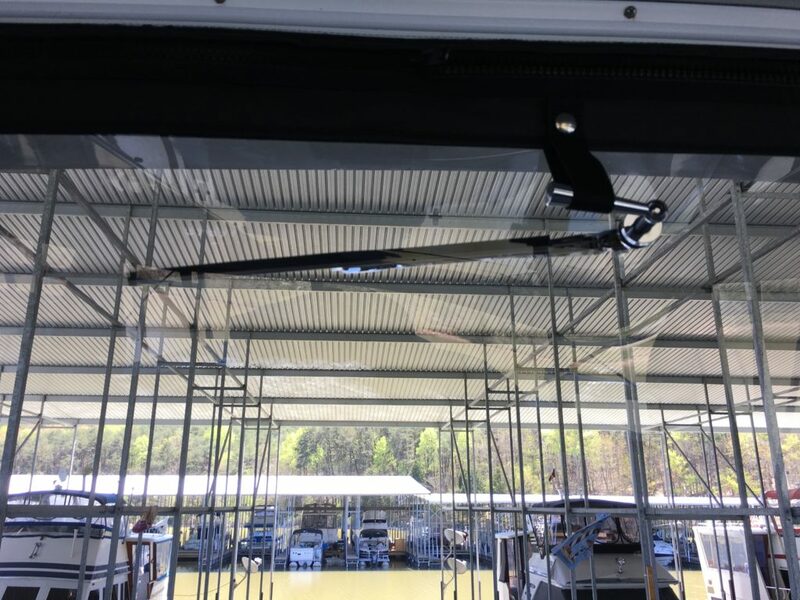 The owner of the featured boat also wanted a windshield wiper on the rigid window, so Concord Custom Canvas installed a hand operated windshield wiper in the window. 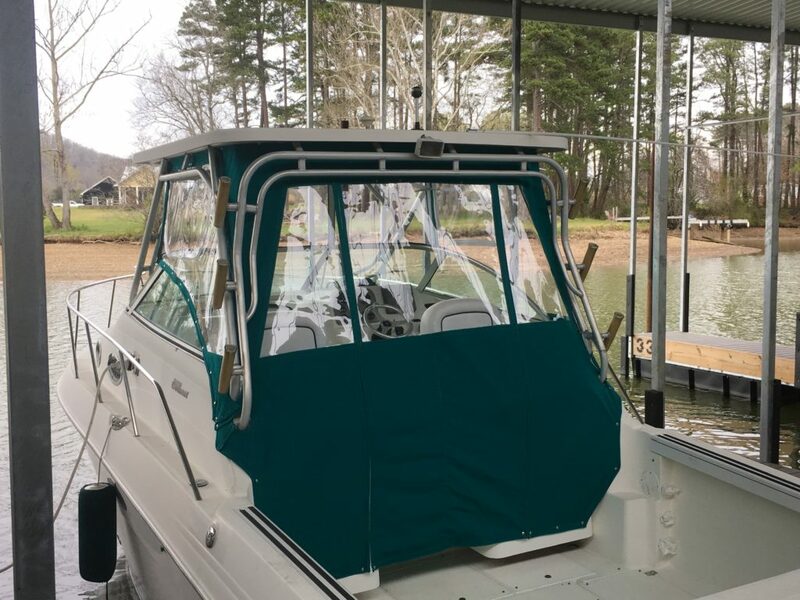 Keeping out the water is an important objective for any boat cover. 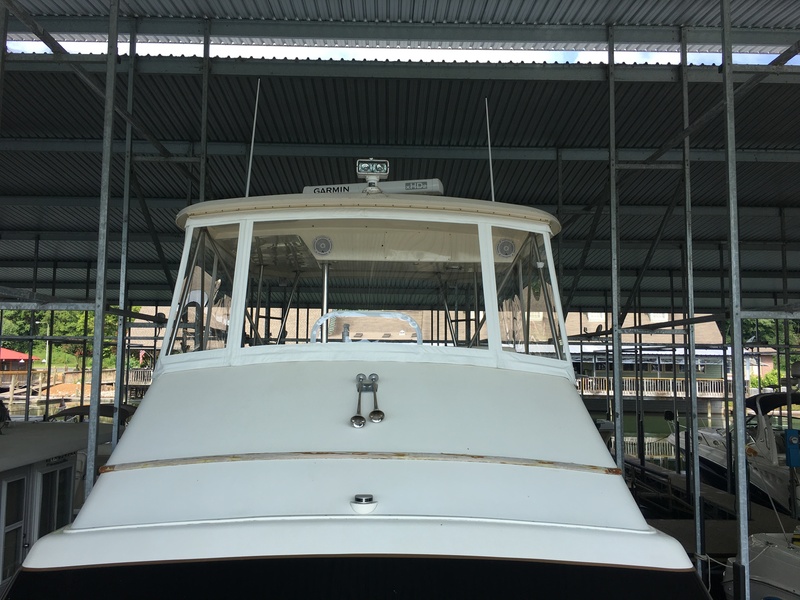 Flybridge enclosures are no exception. Therefore, Concord Custom Canvas designs and constructs its enclosures with a mind toward keeping out the water. A common feature of some power cruisers is an enclosed aft cockpit. Many owners have the canvas on the aft enclosure replaced at the same time the other canvas is changed. 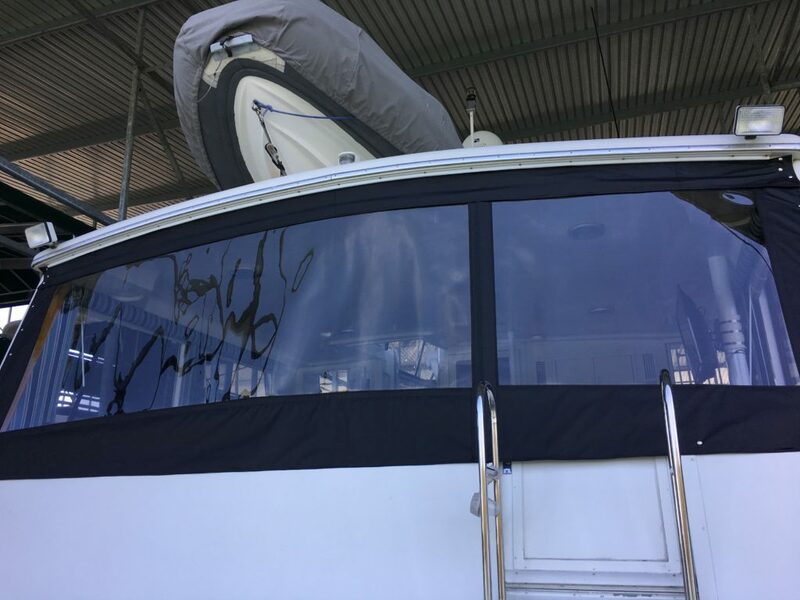 Aft Enclosure window on a 55 foot Californian. Note that the window on the right also serves as a door.